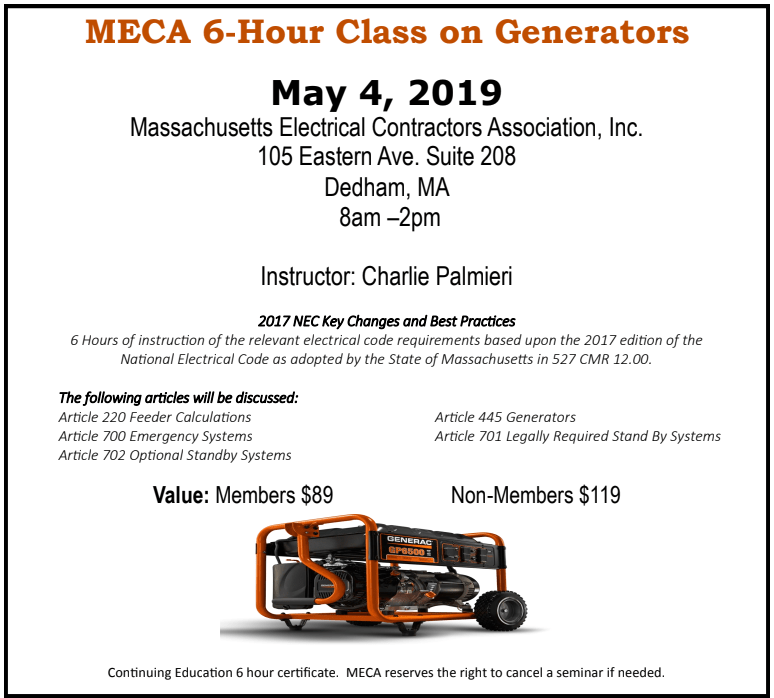 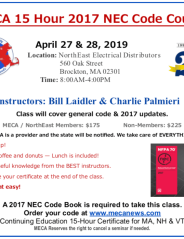 National Electrical Code as adopted by the State of Massachusetts in 527 CMR 12.00. 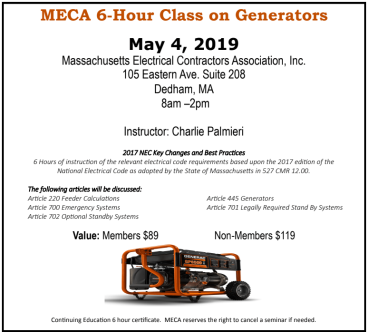 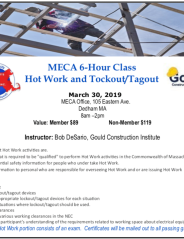 Continuing Education 6 hour certificate. 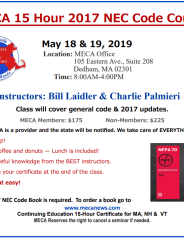 MECA reserves the right to cancel a seminar if needed.